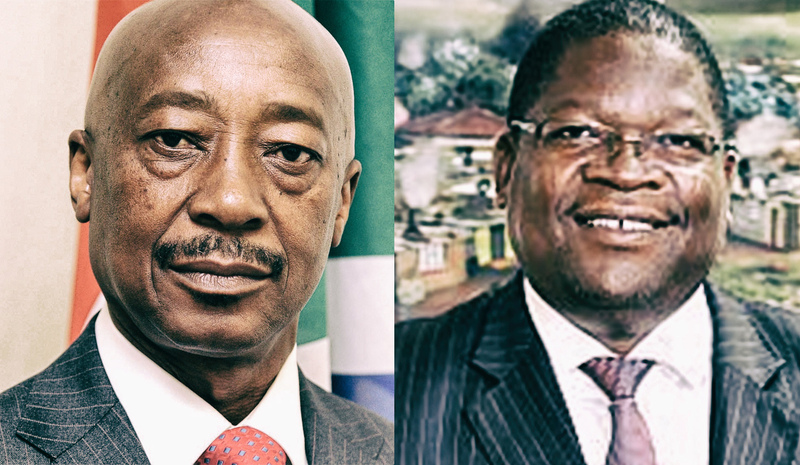 There was nothing to see here – not when SARS head Tom Moyane attempted to smother a damning report by the Financial Intelligence Centre flagging mysterious payments to Chief Officer Jonas Makwakwa. Not even when Makwakwa and his girlfriend, Kelly-Ann Elskie, had made “suspicious and unusual” cash deposits of about R1.3-million into their personal bank accounts between 2010 and 2016. The fact that they stuffed ATMs with money and that some of it appears to have emanated from the Department of Water and Sanitation also doesn’t seem weird. Come to think of it, nothing seems weird any more. By PAULI VAN WYK for SCORPIO. Just after 16:00 on Monday 30 October, the South African Revenue Service sent out a press statement headed, “Jonas Makwakwa to return to SARS”. Makwakwa spent 19 years working his way up to the executive of SARS. He was seen as a rising star and under SARS boss Tom Moyane became a powerful man at the tax office. At the time of his suspension in 2016, he was SARS’ Chief Officer for Business and Individual Tax and had oversight over SARS’ Large Business Centre. In many respects, Makwakwa was seen as second-in-command and SARS boss Tom Moyane’s right hand man. In May 2016 the Financial Intelligence Centre (FIC) flagged a series of strange payments into Makwakwa’s bank accounts that a preliminary investigation by the centre pointed to having emanated from the Department of Water and Sanitation. According to FIC investigators, Makwakwa’s alleged activities may have contravened the Prevention and Combating of Corrupt Activities Act (Precca), the FIC Act and the Prevention of Organised Crime Act. In terms of the FIC Act, Moyane was not allowed to disclose any of the information to Makwakwa, but had to take steps to investigate whether the payments were “acts of money laundering” and “proceeds of crime arising from corrupt activities”. For just over three months Moyane sat on the FIC report and did not suspend Makwakwa, but instead disclosed its contents to him. It was only when details of the report were revealed by amaBhungane in September 2016 that Moyane then begrudgingly suspended Makwakwa. It took SARS over a year to announce his return, having found Makwakwa not guilty of “of any of the charges levelled against him”. It is important to note the lack of detail. No exculpatory evidence is offered, the public is not taken into SARS’ confidence and no timeline of the events is provided. According to three independent sources, Makwakwa had been touted to make his return since at least August this year. Another source said Makwakwa’s office manager and his bodyguard had pitched at the Office of the Commissioner last week “to get Makwakwa’s office keys”. Yet when one revisits the FIC’s preliminary report, SARS’ explanation rings hollow and not credible. The FIC report relied on bank records for 11 different bank accounts as well as camera footage outside the relevant banks and traced the flow of about R1.3-million. Investigators were also led to an ABSA account, a car and a property in Elskie’s name. Despite the FIC report being clearly classified as “preliminary”, it contained an astounding amount of detail. FIC investigators identified deposits totalling R785,130 that were made between 2010 and 2016. Of these, 48 deposits totaling R726,400 were made between 2014 and 2015. Questions were also raised about another three large deposits totalling more than R450,000 that were deemed inconsistent with Elskie’s position as a mid-level SARS employee. These deposits were made on three consecutive days to different banks in a 10km radius. Elskie was, according to the FIC report, filmed making two of the deposits. At the time, Makwakwa first said all of the money came from a stokvel. When questioned subsequently, he refused to repeat the claim and in other instances did not answer his phone. The problem with Makwakwa’s stokvel explanation as well as SARS’ non-explanation is that the FIC traced these money flows back to a R17.87-million payment made by the Department of Water and Sanitation to a debt-collection company named New Integrated Credit Solutions in February 2015. Decreasing payments were traced from this company through a chain of six other companies, including one named Biz Fire Worx. Publicly available information lists Makwakwa as having once been a director of this company.